Go no further than local bond markets to confirm the risk-off end of week move. Developed yields in x/Mexico, the Euro periphery and EM out. Even the French sovereign spread out 7 bps. Surveillez cet endroit! Aussie stocks led the weak or week. Natural gas ugly and should be higher given seasonals. We believe the index is on its way but certainly not in a straight line. Some are betting on a 1990’s melt-up as Fed will have to ease. That’s possible if the Fed begins easing with the S&P at 1000. Never have seen such nonsense, however. The initial conditions in the 1990s couldn’t be more different than they are today. The mid-’90s was the beginning of globalization, cheap labor from China, India, and Eastern Europe. Peak America. Now the reverse is true. 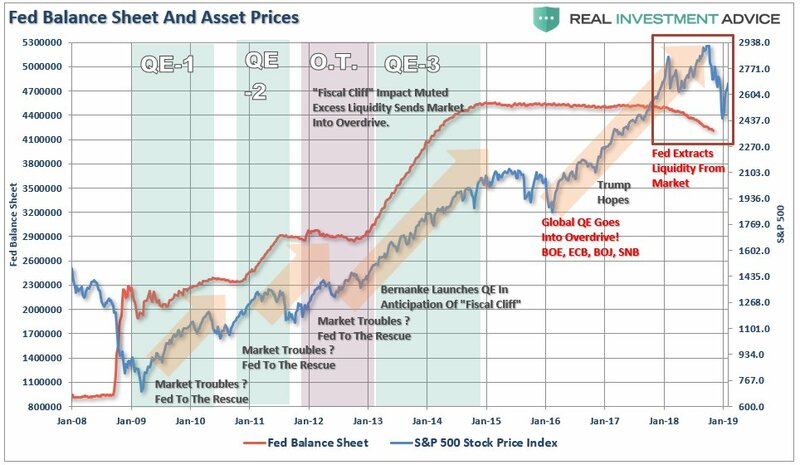 The post-War order, i.e., globalization, is fading fast, and one, and the major reason we are cautious here, even as a long-term investor, and will steer clear of stocks until they get much cheaper. We are confident they will. We don’t like the XLF (financials ETF) chart. Ugly Doji daily candle to end the week (see chart below) clinging to its 20-day. Watch this schpace (go lower)! China back online this week, Mnuchin and Lighthizer to China for negotiations, mo earnings, CPI, and government funding deadline on Friday. It will get done. They are not that foolish. Happy hunting this week, folks. Everyone is too fixated on equities to see the non-validation message from the bond market. 5-year breakevens have fallen from 2.08% late last year to 1.7%, even with the reflexive rebound in commodity prices. This decline in inflation expectations is telling you a thing or two. 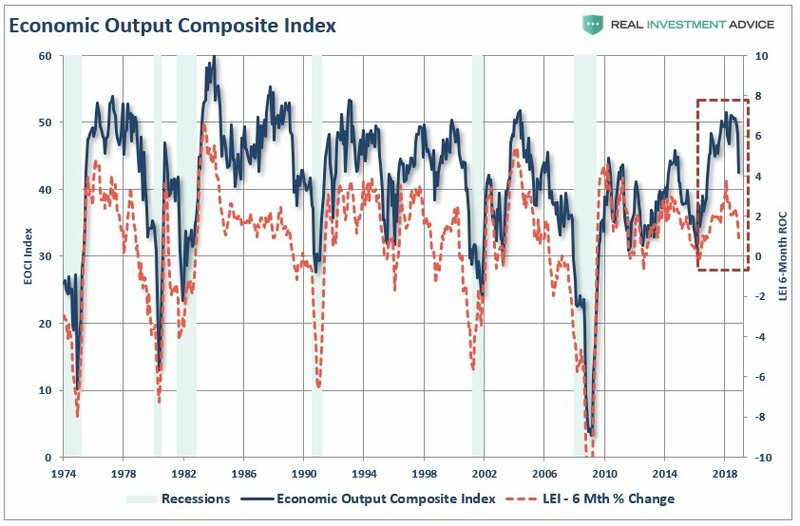 The earnings recession has started. At the end of Sept, the consensus was +6.7% for YoY EPS. By end-2018, that estimate was down to +3.3%. And now -0.8%, with six of the eleven sectors in negative terrain. Edited by robo, 11 February 2019 - 12:46 PM. The SOS continues, but who be buying these shares? 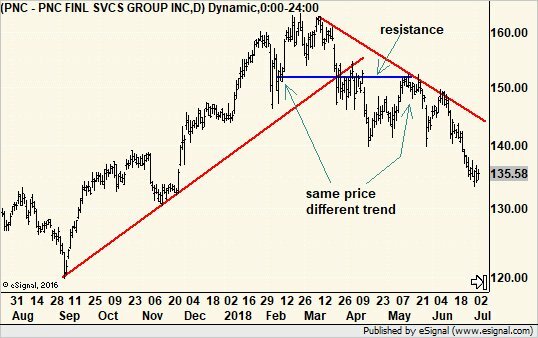 I will continue to add the numbers (SOS) to my chart.... HYG should be tracked based on the Risk On data..... Black line on my chart with a comment from Tom. Edited by robo, 11 February 2019 - 01:09 PM. Despite stocks being up on Friday and Monday, stocks continue to deliver sell signals. Monday was day 31 for the daily equity cycle. That places stocks in their timing band for a daily cycle low. Over the past 13 trading days there have been 9 Selling on Strengthdays. Usually when there is a clustering of SOS days when stocks are in their timing band for a daily cycle low, a decline into the DCL soon follows.